Simplified, rugged design with 1.8" display that's crisp and easy to read. Compatible with Varia™ cycling awareness accessories, including rear-view radar and smart bike lights. Track how far, how fast and even how high you've ridden. Simplified, rugged design with 1.8" display that's crisp and easy to read in sunlight or low-light conditions. With GPS, GLONASS and Galileo satellites and an altimeter, you'll know how far, fast, hard and high you've ridden on the longest climbs and steepest descents. 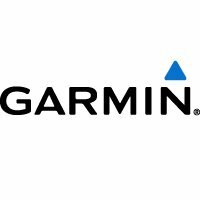 Includes navigation with turn prompts and even shows you how to get back to start; download courses from the Course Creator feature in Garmin Connect™ online community,and race in real time against Strava Live Segments. Connected features1 include smart notifications, weather and more; LiveTrack and Assistance features make it easy to share your location. Battery life2: up to 15 hours. Whether you ride on single-track, open roads or city streets, Edge 130 is the perfect riding partner. Compact and lightweight, it's easy to mount on shorter stems and even comes with a mountain bike (MTB) mount to lift the device above the stem while keeping it out of harm's way. The 1.8" mono Memory in Pixel (MIP) display means you'll get a completely crisp view of the screen, even in direct sunlight when you'd normally be squinting at your smartphone screen. Its five-button interface is easy to navigate, and you can even customise the display to show up to 8 data fields on each screen. And don't let its slight stature fool you — Edge 130 is packed with additional features and gets up to 15 hours of battery life between charges. Wherever you ride, the Edge 130 bike computer captures your essential stats. With help from GPS, GLONASS and Galileo satellites for more coverage underdense tree cover — plus a built-in barometer — it tracks how far, how fast and even how high you've ridden. Plan and download your routes with the Course Creator feature from Garmin Connect. Edge 130 will guide you with easy-to-read course prompts and turn prompts. It's even smart enough to direct you back to your starting location.